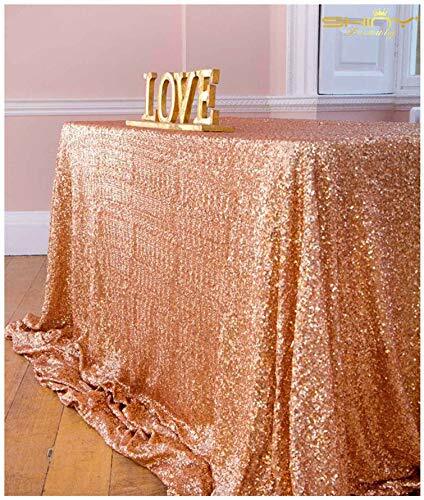 Lovely sequin tablecloths are perfect a touch of glamour to your event or wedding. 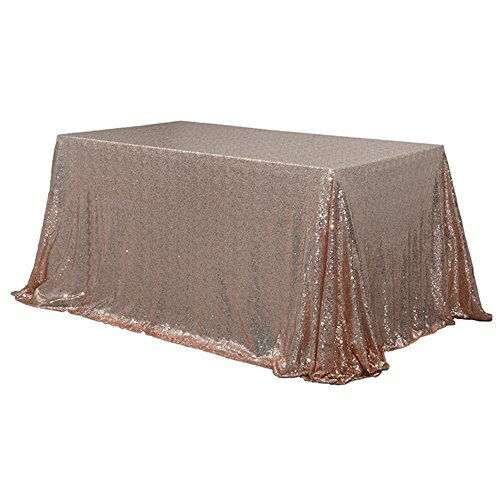 Our Sequin tablecloth is hemmed and machine stitched to the highest quality. 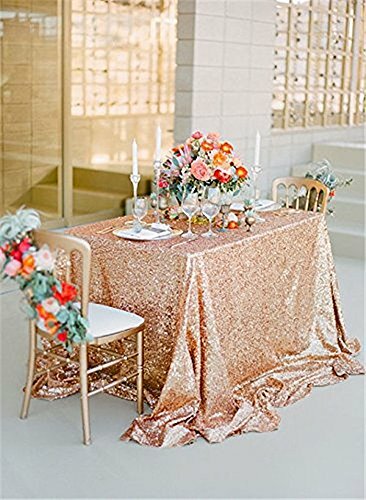 Item:TRLYC 60 x 120-Inch Rectangular Sequin Tablecloth Rose Gold What is sequin tablecloths useful for: Creating sparkly table settings at home fordinner parties. 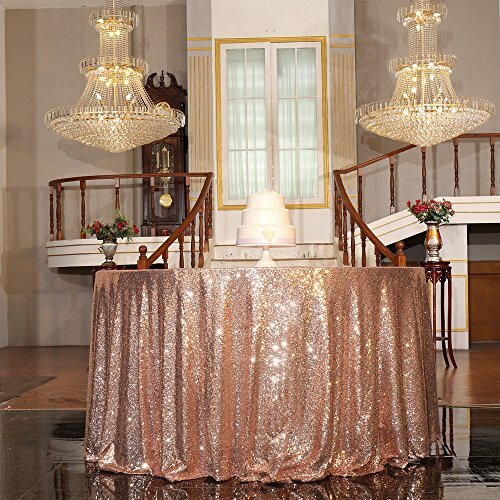 Cake and Dessert tables forparties, weddings and celebrations. 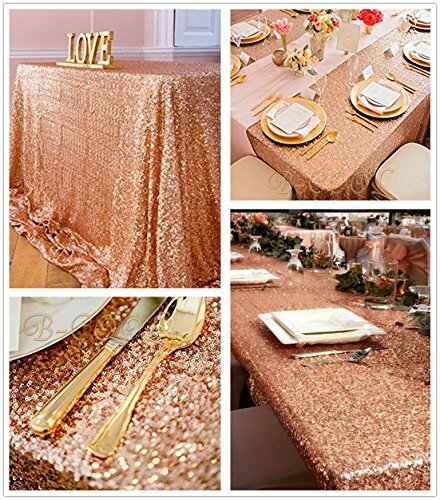 Exhibitions - add some extra sparkle when exhibiting at fairs and markets by adding a sparkly sequin tablecloth or runner. 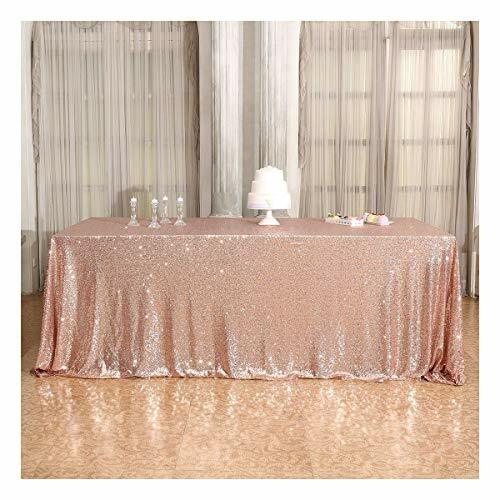 Make and produce candy buffets Our sequin tablecloth will look fab as party of a sweet table or candy buffet. 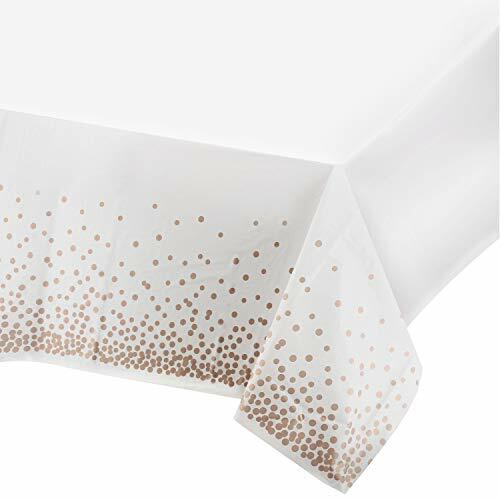 Bespoke: We also offer a bespoke service, so if you cannot find the size or colour you need then please contact us with your requirements. 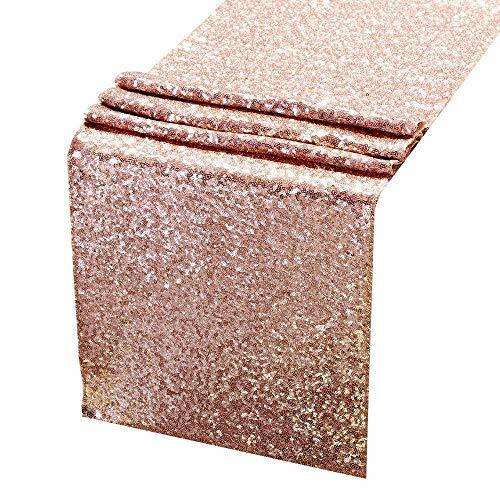 Size: 12\" x 108\"12" x 108"
Size: 12\" x 118\"12" x 118"